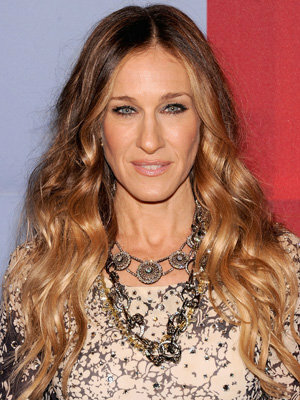 Sarah Jessica Parker’s HBO Comedy Cast Comes Together!!! After having been absent from film and TV lately, Sarah Jessica Parker is planning her comeback and her old stomping grounds of HBO is going to set the stage for her to do so. SJP is executive producing and starring in the comedy ‘Divorce‘. ‘Divorce‘ centers on Frances (Parker), a married and middle-aged woman who spends a lot of time with recently single friends and this stirs an idea in her of divorcing her husband but is unsure of whether or not to pull the trigger. Once he discovers an affair she’s been having, he calls the marriage off. This is where the genius of the extended cast comes into play. Thomas Haden Church is on deck to play Robert, Frances’ husband while the two gal pals are being played by Molly Shannon and Talia Balsam. Shannon will play the high-strung Diane with a successful husband, picture-perfect house and no children. Balsam is set for Dallas, a close friend who has been both widowed and divorced. This entry was posted on Friday, February 6th, 2015 at 8:52 pm	and is filed under News, Television. You can follow any responses to this entry through the RSS 2.0 feed. You can skip to the end and leave a response. Pinging is currently not allowed. « Felicity Jones To Topline ‘Star Wars’ Spinoff Movie!! !